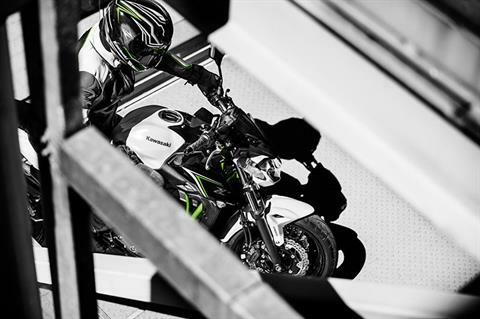 Aggressive, supernaked Z styling comes to life in an ideal blend of sporty performance and everyday versatility. 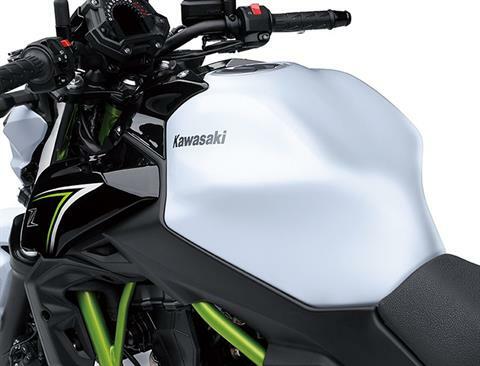 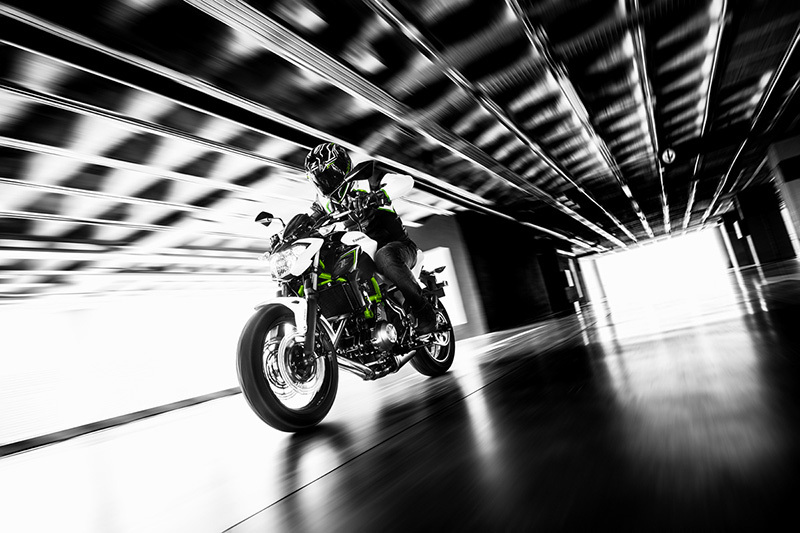 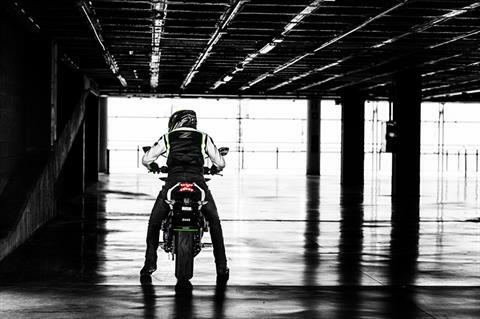 Featuring a lightweight chassis and a strong, torquey engine at its core, the new Z650 naked sportbike is a compact middleweight unlike any other. 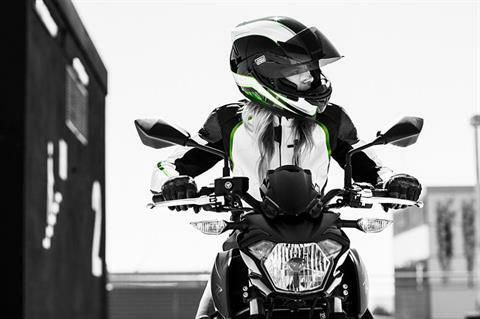 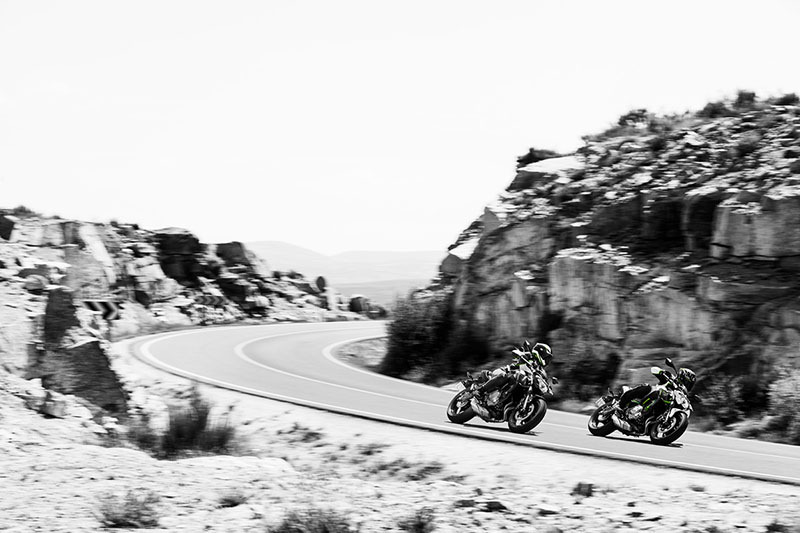 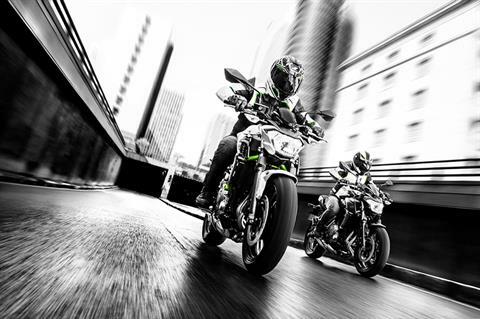 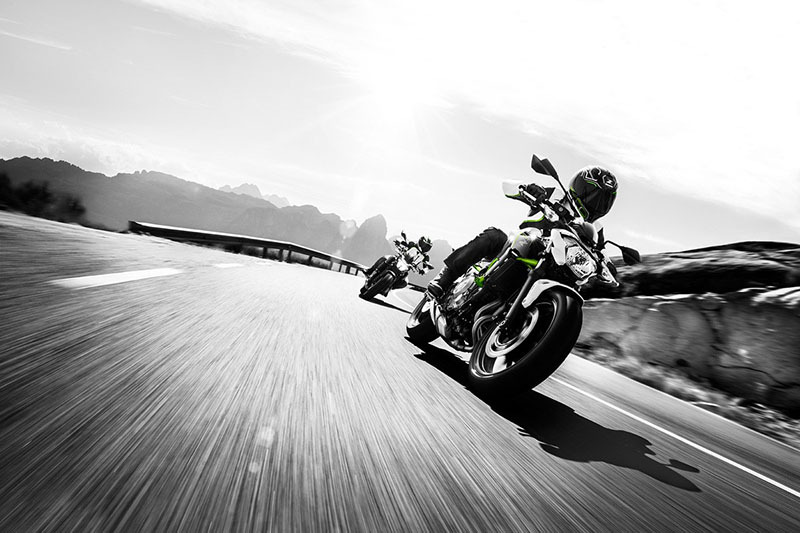 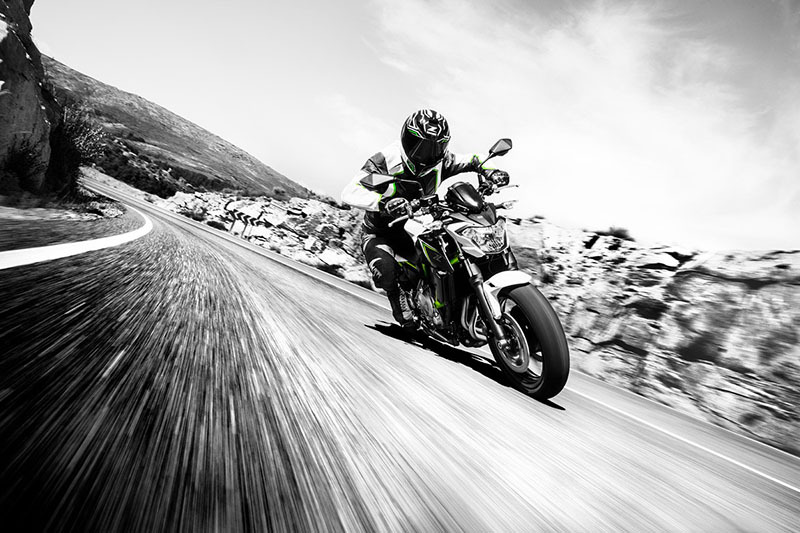 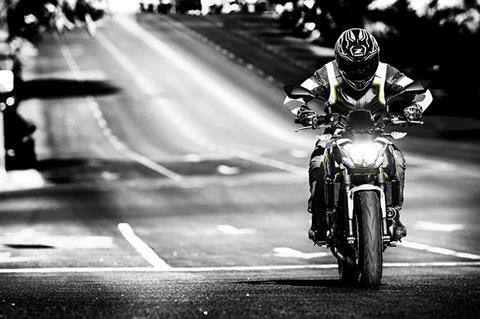 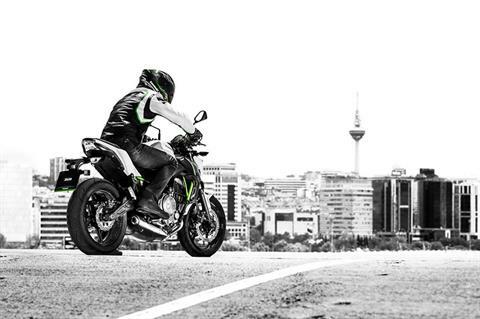 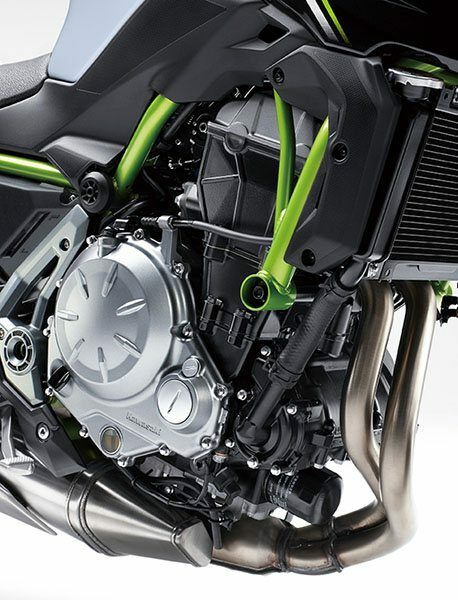 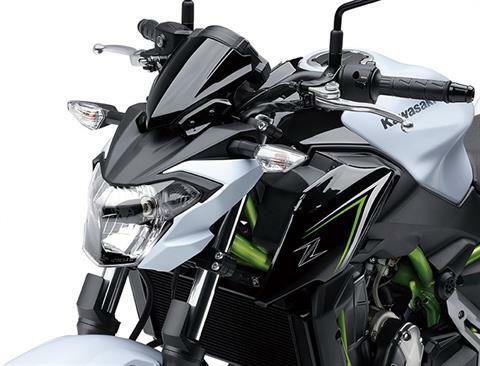 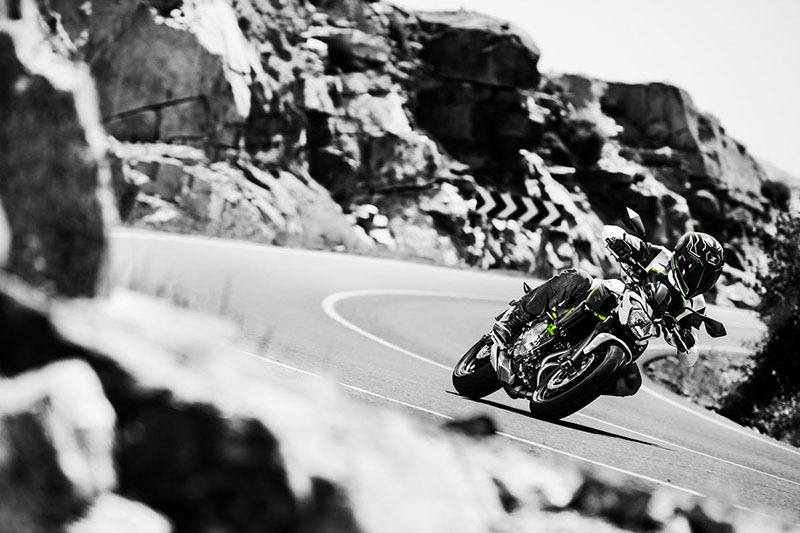 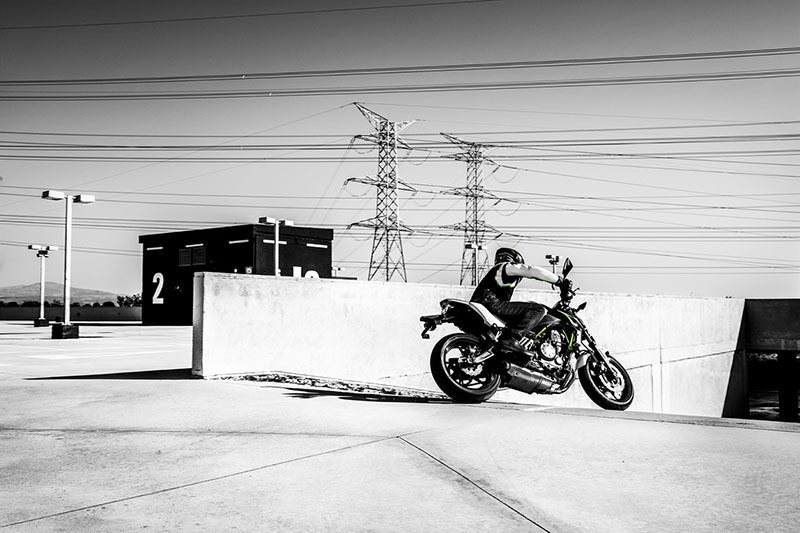 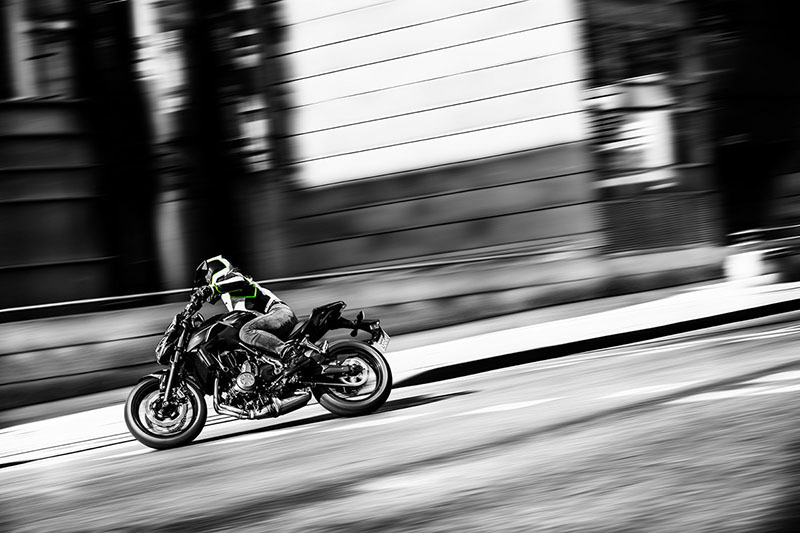 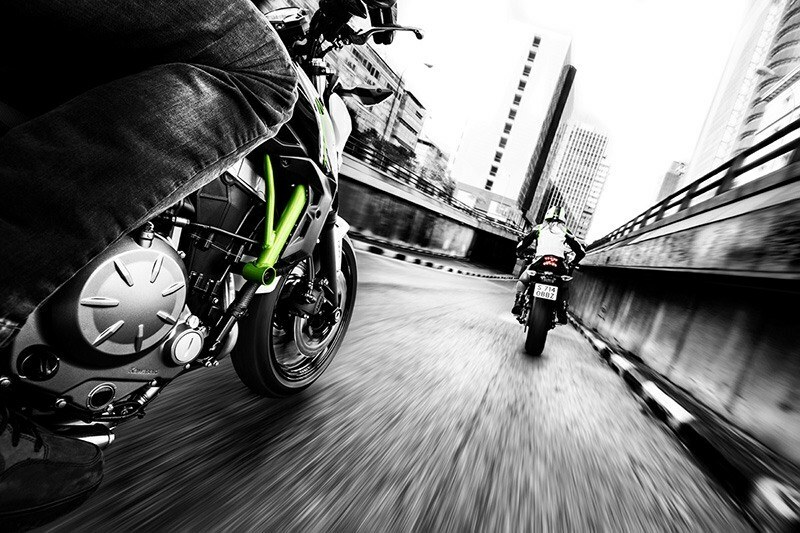 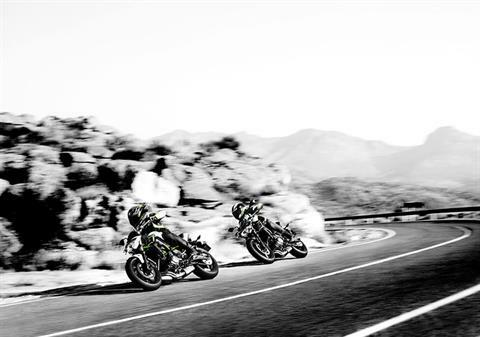 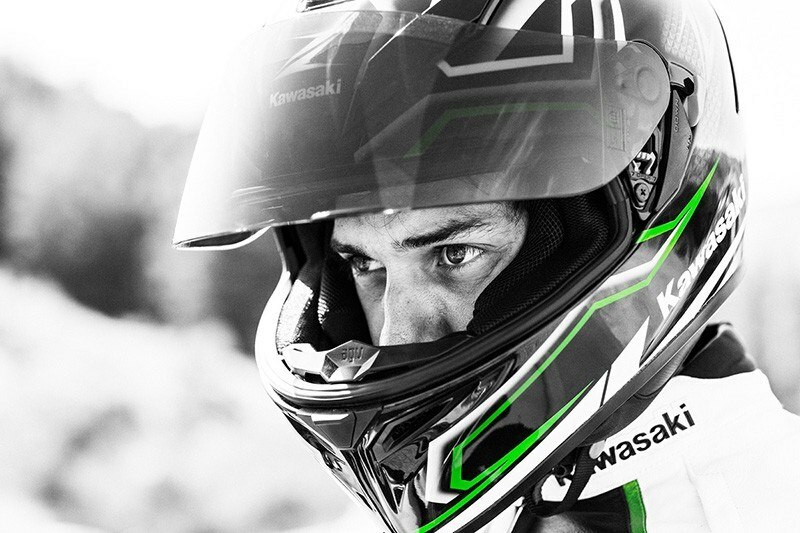 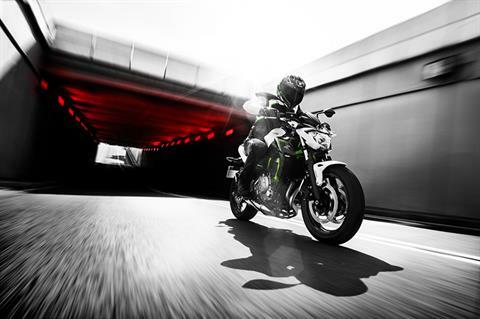 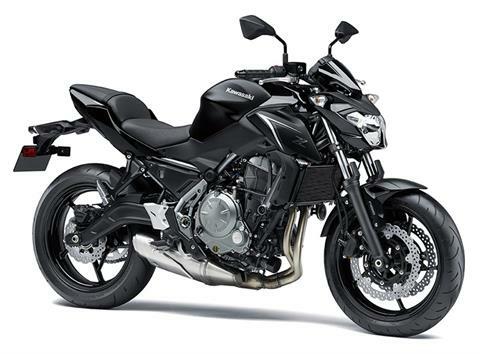 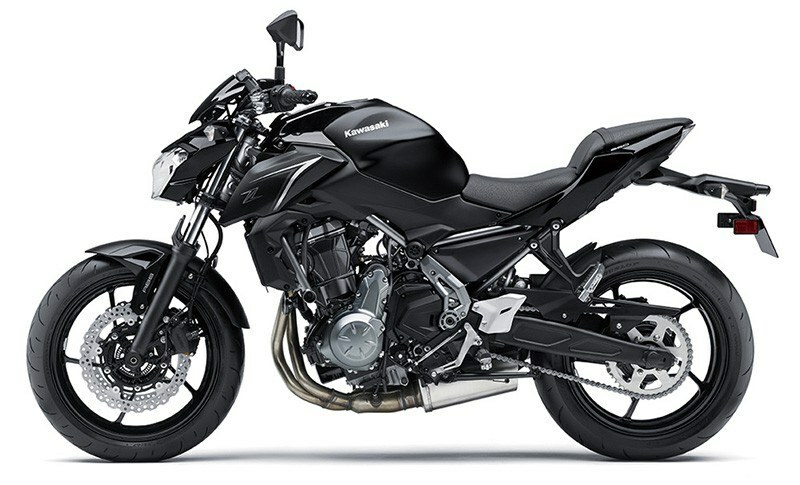 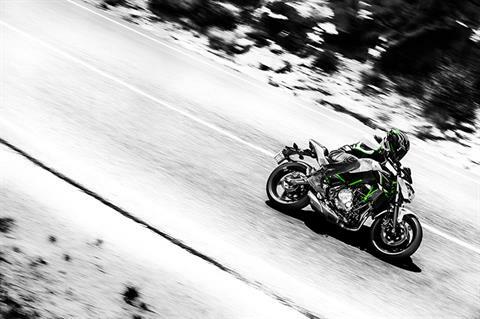 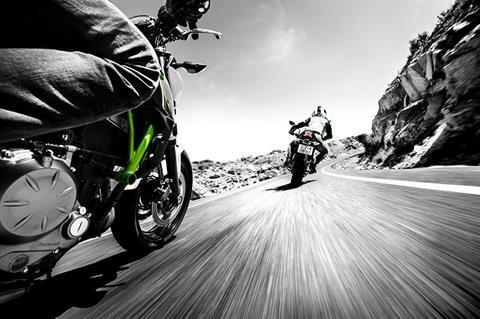 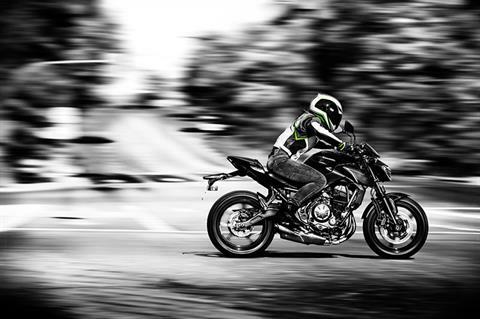 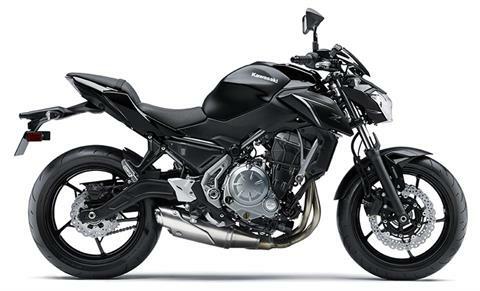 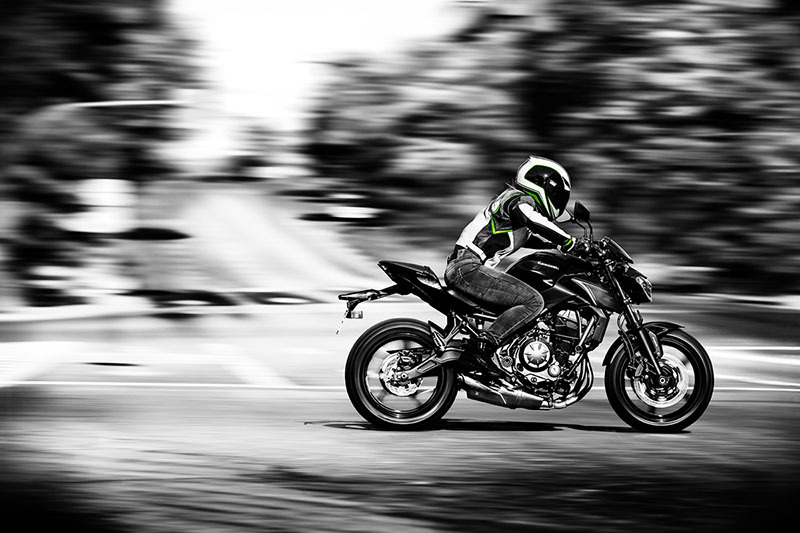 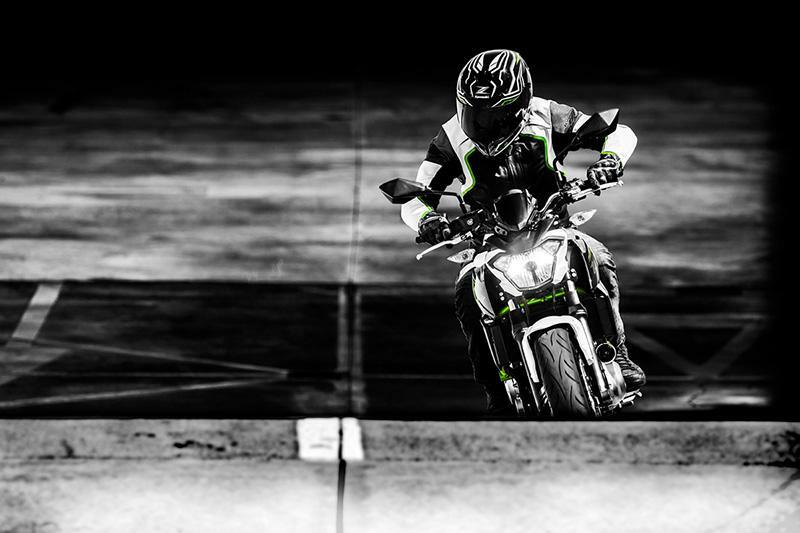 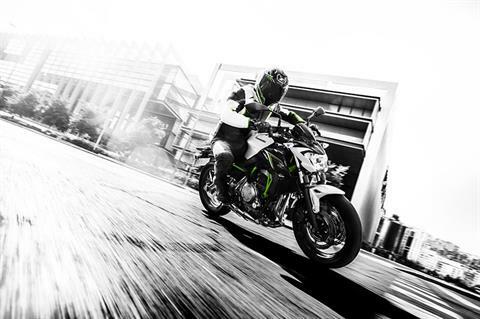 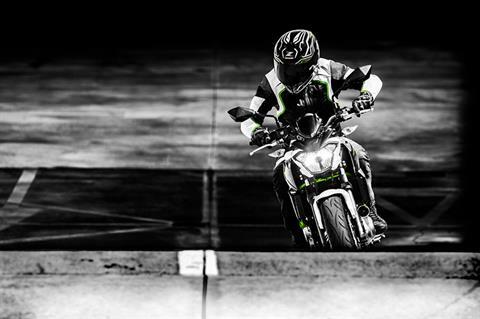 With each ride, smooth power and nimble handling make the Z650 incredibly fun and easy. 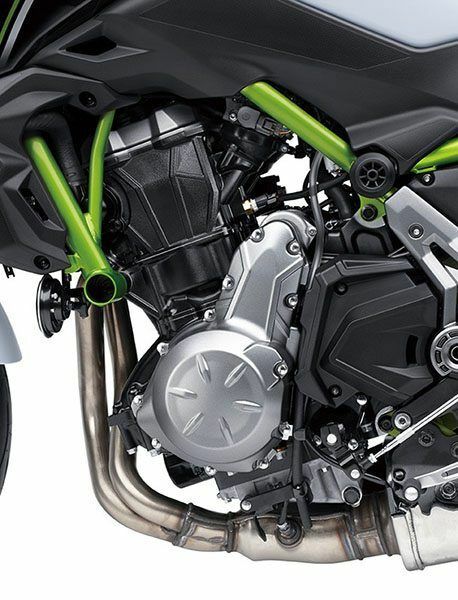 SPORTY ENGINE PERFORMANCE: Raw comes from a modern parallel-twin 649 cc engine that packs strong torque and strong mid-range acceleration well suited for sporty riding. 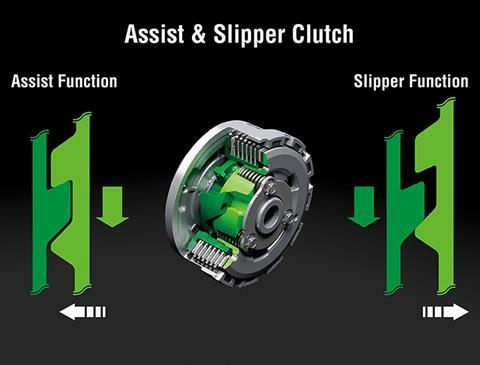 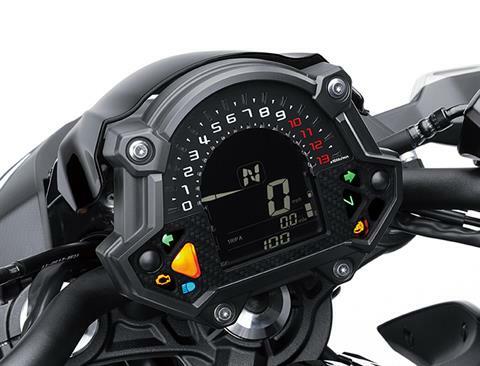 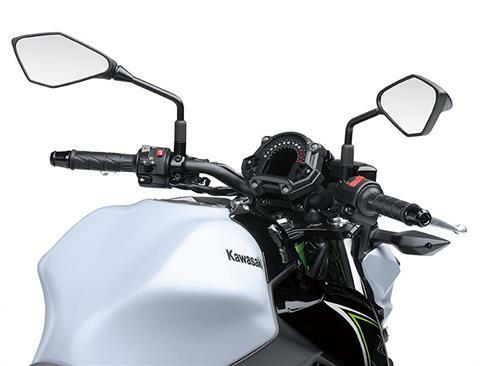 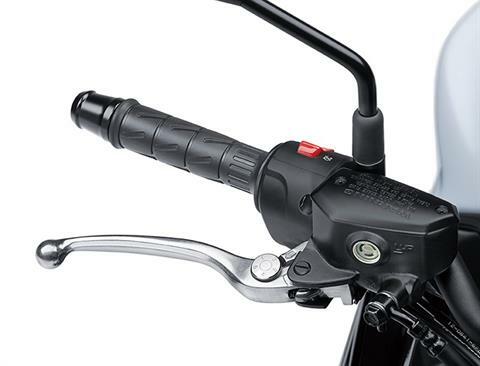 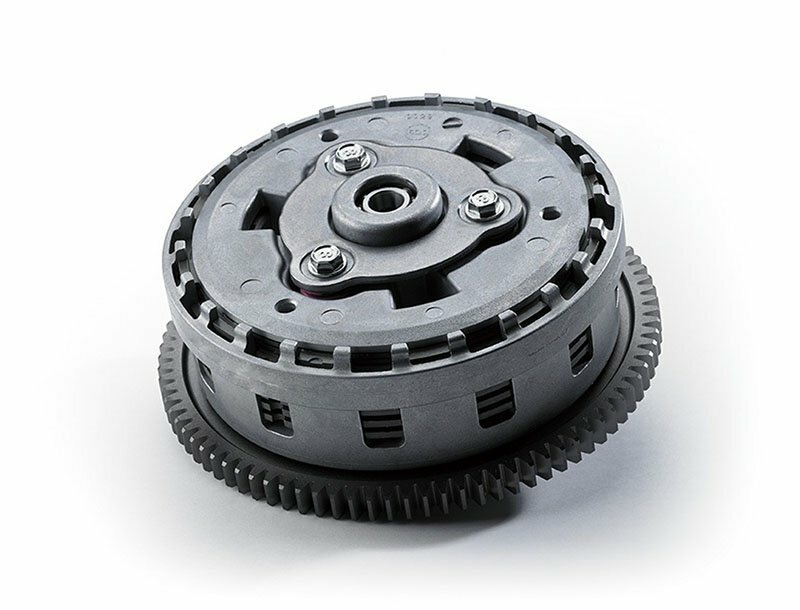 HANDLING: Both clutch and brake levers at 5-way adjustable to accommodate to a variety of hand sizes for added comfort. 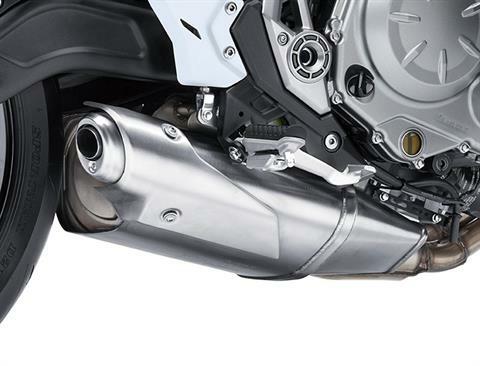 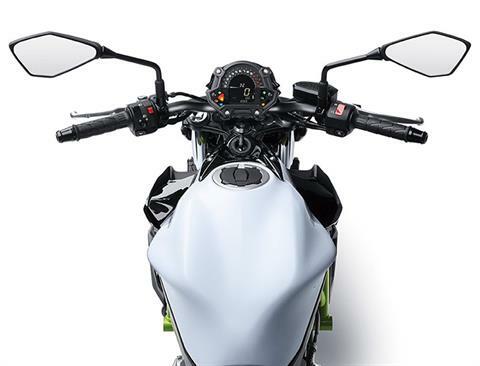 HANDLING: Unique gull-arm style swingarm provide space for under-entind exhaust for low center of gravity and improved dhandling. 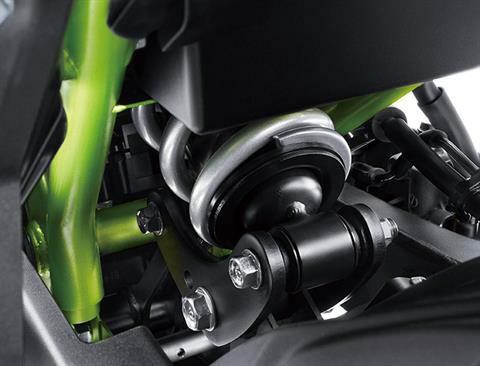 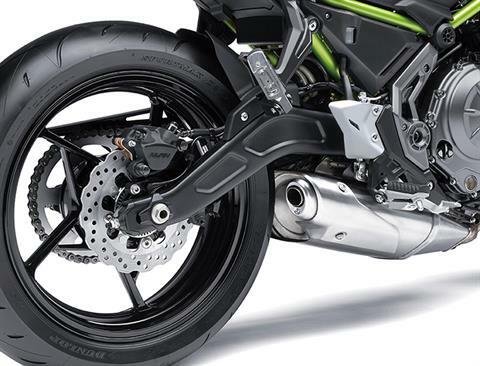 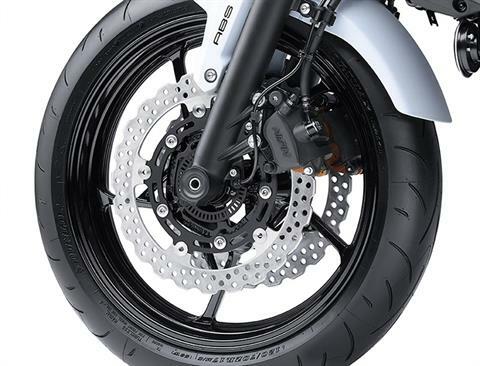 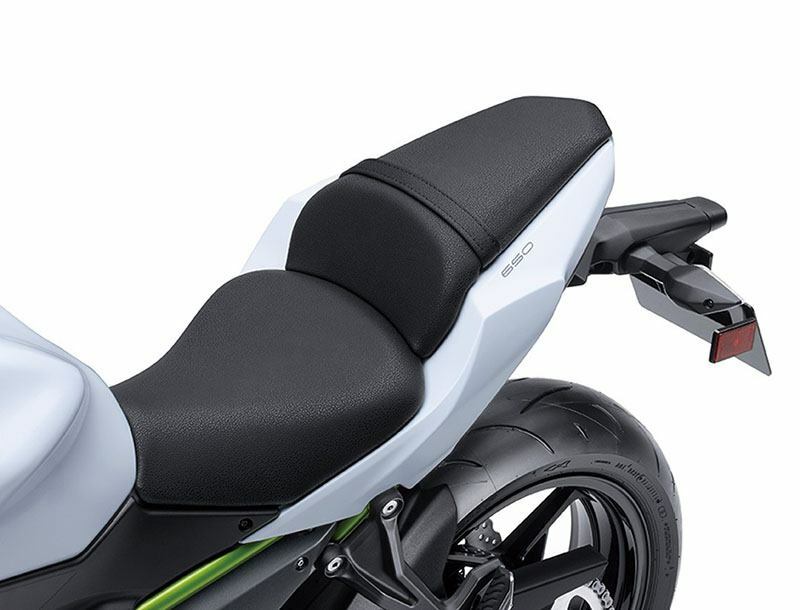 HANDLING: Horizontal back-link rear suspension offers progressive damping for an ideal balance of sport riding performance and casual riding comfort. 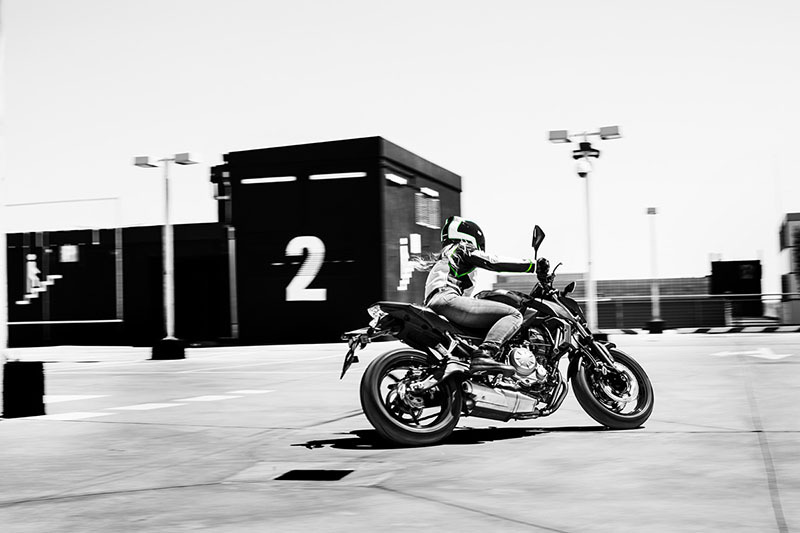 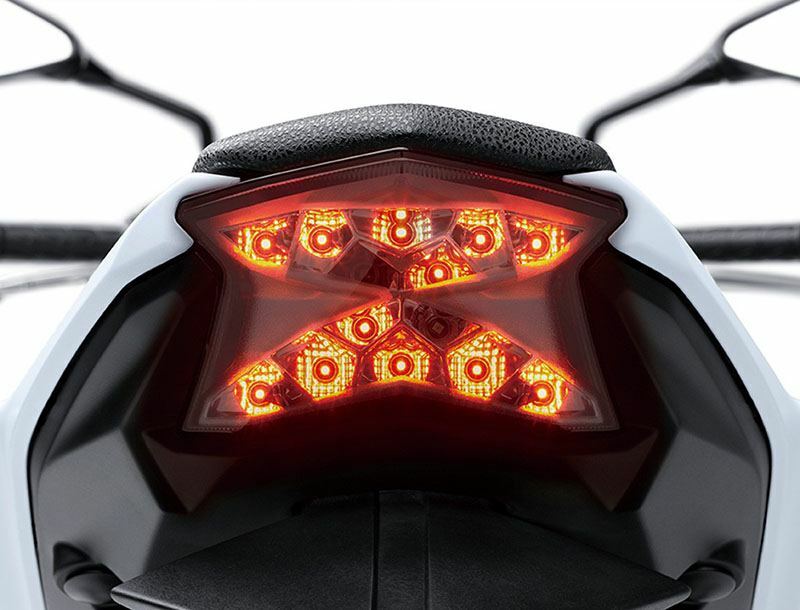 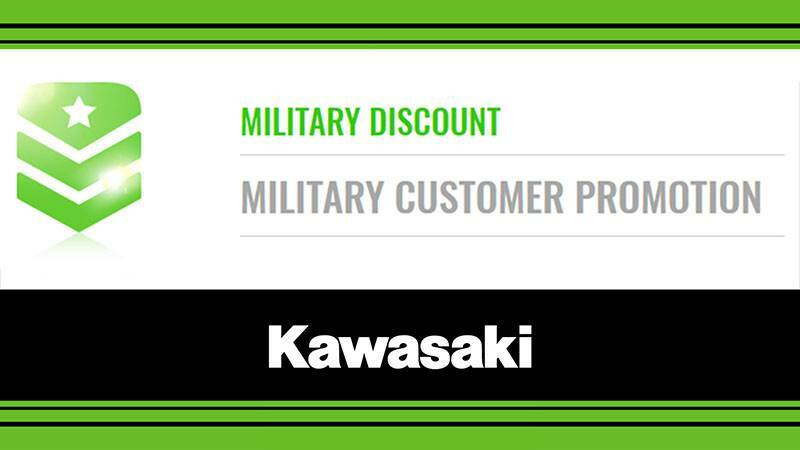 HANDLING: The overall light weight* of the Z650 comes thanks to a lightweight trellis chassis with a low center of gravity for light handling and confident low speed maneuverability. 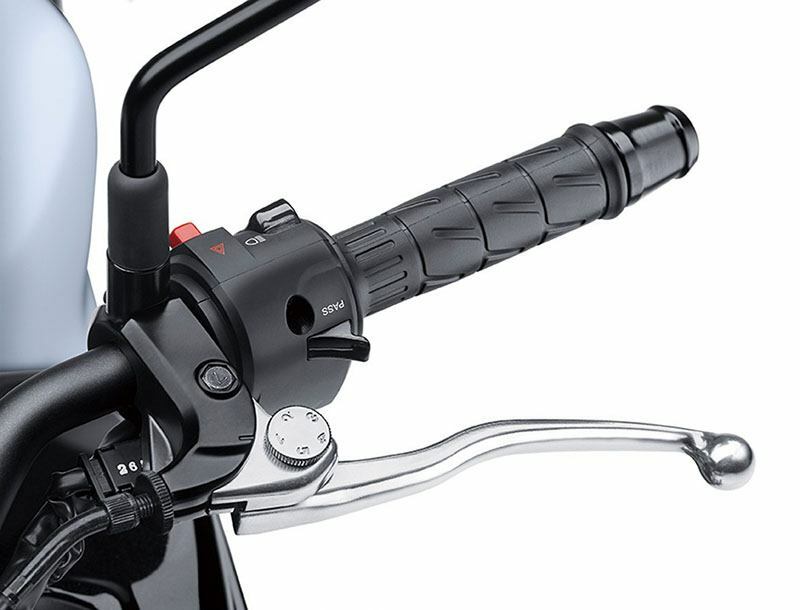 ERGONOMICS: Wide handlebar contributes to easy low-seed maneuvering and leverage for higher-speed cornering.